When it comes to the best home builders Milwaukee, Cobblestone is one of the most sought-after custom home builders in Southeastern Wisconsin. 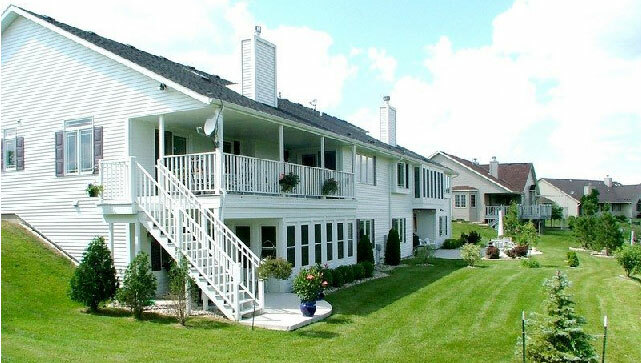 Established in 1990 in Menomonee Falls, Wisconsin, Cobblestone has been building high-quality, cost-efficient homes and condominiums throughout the greater Milwaukee, Racine, Washington and Waukesha Counties. Now recognized as one of the area’s premier builders and condominium home designers denoted by the use of superior materials and open concept floor plans, Cobblestone is able to fashion homes that have a distinctive look and curb appeal. So if you are looking for the best new home builder in the area, look no further then Cobblestone Builders. 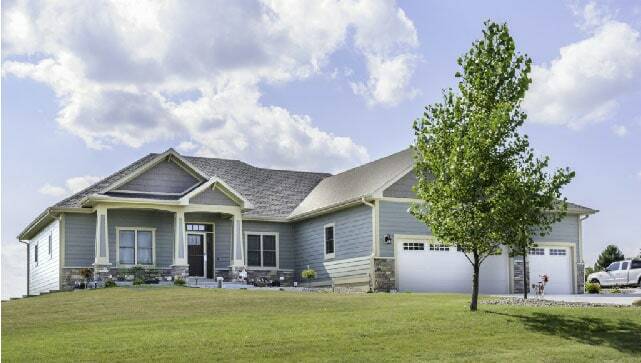 Waukesha home builder airs special weekly segment. Every Saturday morning at 9am on Builders Showcase TV and in the digital magazine, “Talkin’ Construction” is a featured segment. At Cobblestone Builders, we take pride in offering our knowledge and a combined 45 years of expertise to those looking to build new homes or improve their current one by answering questions from viewers. 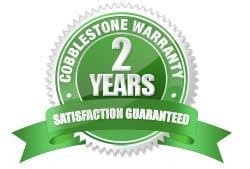 Cobblestone Builders’ standards are some of the highest in the new home construction industry today and it is because of the quality built into each and every new home we are proud to offer our customers a FULL TWO YEAR WARRANTY! My husband and I love our new home. I extend my compliments to Dirk and Stevie at Cobblestone Custom Homes both for the quality of the home’s workmanship and the entire purchasing process. Our first home purchase was stressful and a terrible experience. Therefore, we were apprehensive in buying another new home. Without a doubt, the purchase of our Cobblestone Custom home was the most pleasant home purchase we have made. Dirk and Stevie took the time to answer questions and made us feel comfortable throughout the entire purchasing process. My husband and I love our dream home and we look forward to making lasting memories with our family. Thank you, Dirk and Stevie, for your patience, professionalism, workmanship, and friendship. Our first visit to Cobblestone Trails and a visit with Dirk at the model was all it took to convince us that Cobblestone builders stood above all of the rest. We knew then that when we finally got around to building our retirement home, they would be who we wanted to work with. During construction, when issues arose, as they will in any construction project, Dirk and Stevie kept us informed and assisted us with dealing with them. If we were to build again, we would certainly do it with Cobblestone. After working through three builders, that all turned out to be unsatisfactory, we found Cobblestone Builders. From the beginning we felt comfortable with Dirk and Stevie. We liked the home models we saw and the quality within them. Their references spoke highly of them. They worked closely with us through the entire building process. Their communication, building knowledge, sub-contractors and their overall building process was excellent. We are very pleased with our beautiful high quality new home. We definitely can recommend Cobblestone Builders for anyone’s new home. We had the pleasure of building our first home with Cobblestone Builders and the experience was excellent. When it came time for us to build our dream home we looked to multiple builders and again were impressed with Cobblestone. The time and expertise provided by Dirk and Stevie before we even signed the contract was impressive. They made sure we understood all aspects of the building process and they worked with us during several design changes and rebidding of prices to ensure we got what we were looking for within the budget we had. The relationship that they have with their contractors and how they manage the build process made the experience even easier for us. Of course there were challenges along the way, but Dirk and Stevie made us aware of every detail and with the help of their expertise resolved any issue quickly and to our satisfaction. It was a pleasure to work with Cobblestone Builders and if an opportunity comes where building a third time is an option Cobblestone will be my first call. We spent two years looking for a builder we wanted to do business with and Cobblestone Builders was chosen because of their quality, experience and open book policy. The feedback we heard during the construction process from the contractors hired by Cobblestone helped ensure we made the right decision, even the Village Building Inspector commented on their quality being higher than most builders! Cobblestone adds a higher quality to the areas of your house the “average homeowner” does not have the knowledge on and the fact that you get to deal directly with the owner a.k.a. expeditor, makes the process more efficient than going through the multiple layers that most companies have. Two years ago I decided to move back to Wisconsin and to downsize from my home to a condominium. Most units I looked at in the area resembled a typical boxy apartment. When I visited Cobblestone Trails and walked in the front door of the model unit, I knew I had found a place to call my home. Cobblestone Trials offered me all the amenities I was looking for in a home, a quiet setting, well landscaped and maintained grounds plus a quality custom built home. After building five homes I can honestly say that my building experience with Dirk & Stevie Wildt was the best. Throughout the building process, Dirk & Stevie were honest, well organized, easy to work with and strived hard to give me all I wanted in my new home in a timely fashion. My home ended up being all that I was looking for and more and I would recommend them to anyone who is looking to build! When we decided to downsize from a large suburban home to a condominium lifestyle, we looked at several existing properties, as well as new construction. Within minutes of our initial visit we could see the quality differences that Cobblestone Builders builds its brand around. We had never gone through the new home construction process before, and of course heard all the horror stories. But Dirk and Stevie completely understand that they are building a home for their customer, not just a building. They do everything possible, from choosing suppliers to working with owners and designers, to being on the jobsite nearly every day to make sure that the project is done as if it were their own. Communication has been excellent throughout the entire process, all of our desires and concerns were addressed, and we could not be happier and prouder of our new condominium home at Cobblestone Trails. We have been looking at condominiums for the past two years and in that time period, we were not happy with the fact that they all looked the same, and the developers were unwilling to let you customize the unit. Cobblestone Builders believes that you have the right to customize your condominium to make it more like your home than a condo. An excellent choice for a builder! Just a note to let you know how pleased we were with our home and our experience with you. Our home was built in 1994, and even years later you responded when we had an insulation problem. Working with you was a pleasure and you were able to accommodate the changes we requested. We have enjoyed our home for many years now, and if we build again would definitely contact you. Hope this finds you doing well and thank you again. Building with Cobblestone was a very pleasant experience and not at all the “horror story” we’ve all heard building a new home can become. Roy Wildt, the builder, and Stevie, his expeditor, were both hands-on and always available and willing to listen to any concerns we had of changes we wanted to make. Their construction methods were sound, resulting in a well-built, attractive residence. This was our first experience having a home built and would do it again with Cobblestone in a heartbeat! When we told family and friends that we were building a house, they often told us their horror stories. We always responded with “not us”. Building with Dirk and Stevie was painless and a true pleasure. In the beginning, they would offer suggestions and options that we didn’t think of. They listened to our desires in our new home and made it happen. Throughout the building process, they kept us informed and we always knew what was going to happen next. Their subcontractors were also very professional and always took the time to talk to us when we came to the house. They also spoke very highly of Dirk and Stevie. From the beginning, we became aware that Dirk and Stevie were very professional and very attuned to details. If something came up, they took care of it. We soon learned that we didn’t have to sweat all of the details because Dirk and Stevie already did. We love our new home and building with Dirk and Stevie was a fantastic experience. When deciding on a builder to hire to construct our new home, we chose Cobblestone Builders and never questioned that decision. We were impressed with the quality of materials used in every home they build, the high level of workmanship expected of their subcontractors, the attention to details and the prompt responses to any questions we had. Throughout the project, we always felt that we were kept apprised of all progress in the construction of our home. That was important to us as we had a deadline to meet to be moved into the new home. We were ecstatic when Cobblestone Builders turned over the keys to our completed home ahead of schedule. Our best interests were always represented by Dirk and Stevie and we greatly appreciated that. We cannot say enough about the pleasant experience of building with Cobblestone Builders. We would highly recommend them. A year has passed since we moved into the home you built for us and we still remain as thrilled with it as the first day we moved in. The construction process went along so smoothly and although we had a lot of input and had very many decisions to make it was always a pleasure. Your quality of construction was outstanding and as we toured the home during the construction process many of our friends commented on the high standards to which the home was built. Any minor issues we brought to you after the construction were completely resolved to our satisfaction. Thank you for your continued care and concern long after the construction was completed. Our sincere complements to you and your crew for a job well done. They say the third time’s a charm. 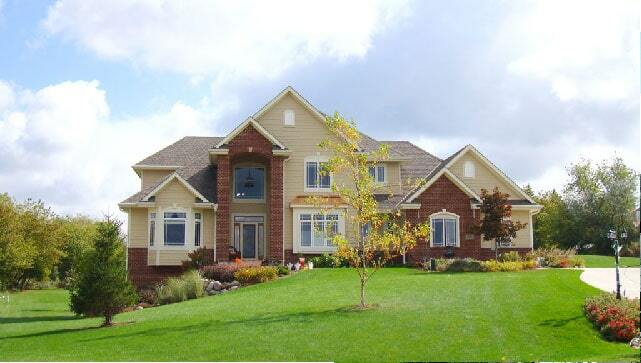 This is our 3rd home we built and building with Cobblestone Builders was our best experience. Dirk and Stevie are on the job site all the time making sure all is done the way we wanted and contracted for. Condo? Are we really living in a condo? The way the side by side ranch units are built, you would think you were living in a single family home, you can’t tell the difference. Cobblestone Builders has many different floor plans to choose from and which you can customize to your life style. We added a finished theater room, bar, office and full bath in the basement! They make sure the job site is always clean inside your home and outside of the entire project. Great experience and we’re delighted! When Chris and I contemplated building a new home the first builder that came to mind was Cobblestone Builders. Chris and I were aware of Cobblestone through past and present customers. We researched other builders and have been beyond pleased with our decision to choose Cobblestone. When Chris and I compared a Cobblestone home to others it was an easy decision to choose Cobblestone. Other builders tried to sway us by their “special” deals such as “x”amount of dollars in upgrades. The upgrades that other builders offered were standard for Cobblestone, which saved a lot of confusion. Also, a majority of Cobblestone standards were already higher grade than the upgrades that were offered by other builders. One other major factor that helped us in our decision was the 2 year warranty; we could not find any other builder that could match up. I cannot express how helpful Dirk and Stevie were in this whole process. For being new to building a home, there were plenty of times when we were at wits end. Dirk guided us through the confusion with ease and patience. Stevie was helpful in informing us about what items we needed to chose and when we needed to complete our decisions. .